When it comes to creating a brand for a blog or a website you will have a ton of different options regarding how you want to approach the process. One of the biggest decisions you will have to make though is whether you intend to include yourself as a key part of your branding. Is your brand a personal brand? Are you going to be the brand? The first question to ask is what this might look like – what does a ‘personal brand’ really look like as a blog? A good example would be to look at Tim Ferriss’ fourhourworkweek.com/blog site. This is a hugely successful blog in the fitness/self-development/productivity niche that was launched off of the back of the ‘Four Hour Workweek’ blog. While ‘Four Hour Workweek’ is a brand in itself, the site is also plastered with images of Tim and his name generally. In this way, he has become inseparable from his brand. The same thing can be seen if you look at the Smart Passive Income Blog by Pat Flynn – whose face is front and center on his site. Both these bloggers will also regularly appear on podcasts and in YouTube videos, allowing users to get to know them. Then you have people like Oprah Winfrey, Martha Stewart, and Tony Robbins, whose brands and names are inseparable. If you’re trying to build authority and trust in a particular niche or industry, then having a personal brand is an excellent strategy. That’s because personal brands are particularly memorable – the human brain evolved to remember names and faces far more than random words and titles. Personal brands are memorable – our brains remember names and faces more than random words and titles. Likewise, when you use your own name and face you give your brand instant personality as well as inspiring more trust. This way, you are effectively ‘staking your reputation’ on what you say and people will feel like there’s someone they could theoretically contact if ever they had any questions. All this helps to inspire trust. Personal brands work even better if you can somehow ’embody’ your message, service or product. If your niche is fitness then you need to be in great shape. If your niche is dating, then you need to have an attractive partner – etc. This way, you can become at once a role model and proof that your product or techniques work. Finally, building a personal brand can ultimately become a springboard to celebrity. If that’s something that interests you, then this strategy is a must! Are you camera shy? 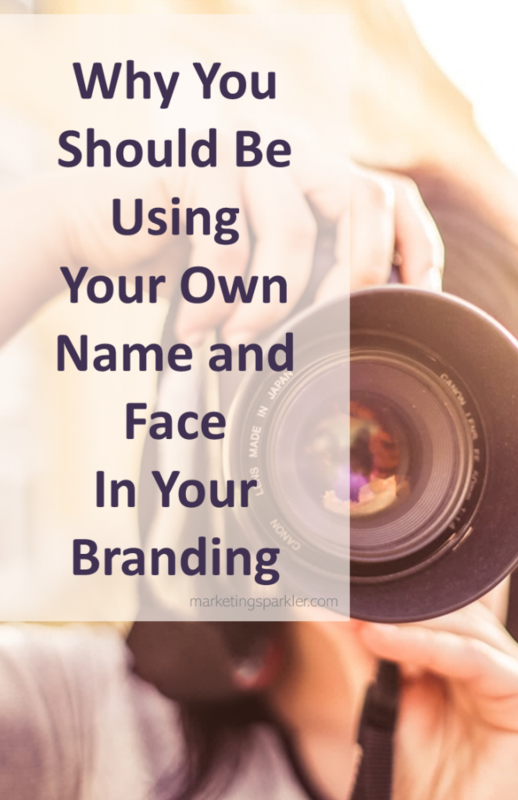 Are you using your name and your face in your branding? Interesting, I never thought about this but it does make sense now that you bring it up. Great advice, thanks! I’m an introvert and I used to shy away from using my face, as so many entrepreneurs do. But I could see the positive difference in my brand and opportunities as soon as I started showing my face more. Hopefully this points you in the right direction!